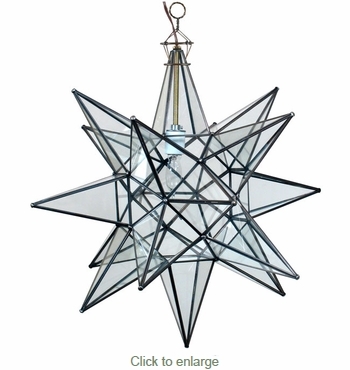 These hanging star lanterns are a wonderful way to illuminate your rustic home decor. These unique Moravian style stars are handcrafted by talented artisans in Mexico. A large clear glass star lamp will add an elegant feel to any room in your Spanish colonial, Tuscan, or Santa Fe style home. $9.35 Small Tin Ceiling Plate 5" Dia.